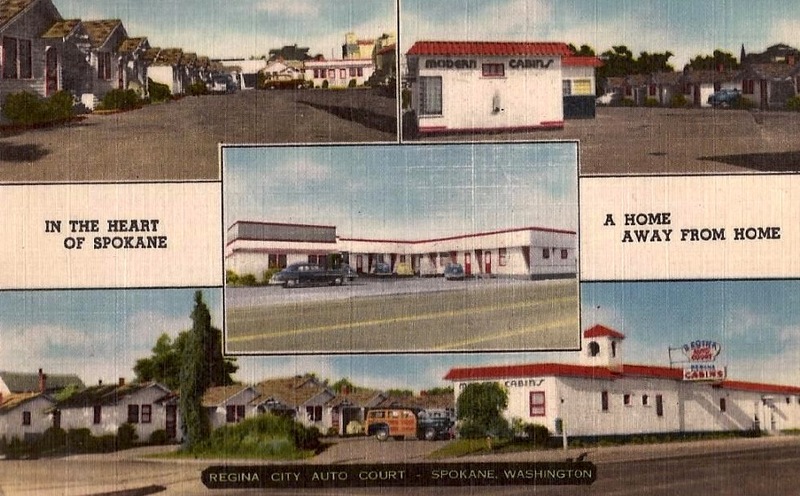 In the heart of Spokane, a home away from home. Forty-eight units, each unit named for a state. One of the larger and more conveniently locate auto courts in the Pacific area. Twenty four hour service. Located near the shopping center. The Golden Rule is our Motto. Drop in - Pay us a visit.